UNDP is working with the Solomon Islands Government to help communities adapt to a changing climate. The project is building on the momentum from climate leaders in each community. These are some of the 'climate change heroes' who are making a difference in the adaptation by working with their friends and families toward a more resilient future. Their concerns and local activism are woven into a dynamic alliance with adaptation projects to form a grassroots movement working to help people prepare for the future of climate change. This photo story takes you into the communities where SIWSAP works and gives you a glimpse of the complex challenges people are facing. A one minute musical mediation on the faces of the people on the frontline of climate chnage. Communities in the Solomon Islands are on the frontline of climate change working with the Government and experts from the UN Development Programme to find ways to adapt to the changing environment. Under the Solomon Islands Water Sector Adaptation Project, “Gud Wata Fo Strongem Komuniti Lo Evritaem", communities across the country have become innovation hubs to test and refine methods to cope with issues like drought, salination of wells and the loss of crops to the encroaching sea. The goal is to equip people with the resilience to meet the challenges of the future and serve as a replicable model of adaptation around the Pacific and the world. 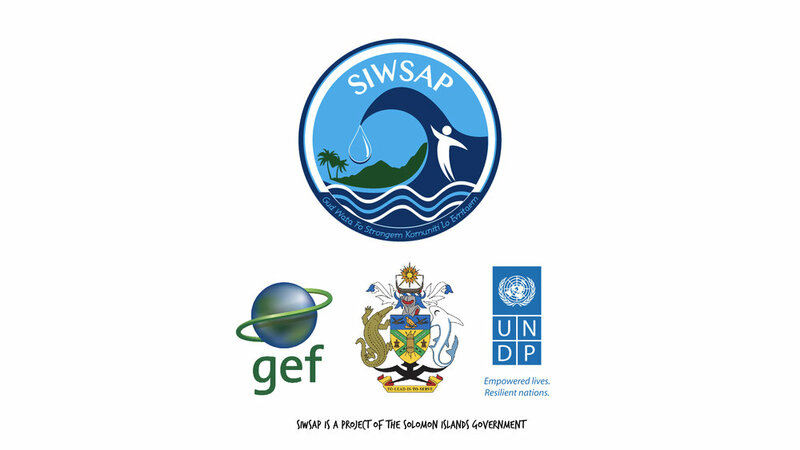 The Solomon Islands Water Sector Adaptation Project, “Gud Wata Fo Strongem Komuniti Lo Evritaem", is funded by the GEF-Least Developed Countries Fund and implemented by the Water Resources Division of Ministry of Mines, Energy and Rural Electrification with technical support from the United Nations Development Programme. The project aims to improve the resilience of water resources to the impacts climate change and improve health, sanitation and quality of life, so that livelihoods can be enhanced and sustained in the targeted vulnerable areas.